Heathrow Rewards is Heathrow’s loyalty programme. Members can collect Heathrow Rewards points at Heathrow Airport on shopping, dining, foreign exchange, car parking and pre-booked Heathrow Express tickets. Heathrow Rewards points can be spent in hundreds of Heathrow Airport outlets, including World Duty Free and Dixons Travel, redeemed for airport shopping vouchers or used for exclusive discounts on pre-booked official Heathrow parking and Heathrow Express train tickets. Find out moreOpens an external website in a new tab. 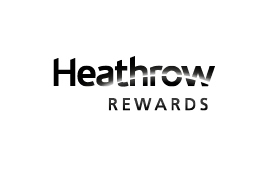 If you’re not already a Heathrow Rewards member, join Heathrow Rewards now(Opens an external website in a new window) and earn 1,500 points if you spend £150 or more and use your Heathrow Rewards card. You can also convert your Heathrow Rewards points into Skywards Miles, boosting your Miles balance and taking you closer to your next reward. If your shopping list is filled with city breaks and island escapes, make your Heathrow Rewards points fly. Convert them into Skywards Miles and put them towards flights, upgrades and more. There’s no limit to the number of points you can transfer. Convert 250 Heathrow Rewards points into 250 Skywards Miles. Convert pointsOpens an external website in a new tab. If you’ve got your eye on the latest gadget or you want to stock up on your favourite fragrance, use your Skywards Miles to splash out before take-off. Convert Emirates Skywards Miles into Heathrow Rewards points and enjoy Instant Rewards at all World Duty Free outlets as well as Jo Malone, MAC cosmetics and many more(Opens an external website in a new window). You can convert a maximum of 18,000 points in one transaction. Convert 6,000 Skywards Miles into 2,000 Heathrow Rewards points, which is equivalent to £20. Emirates Skywards members who are Heathrow Rewards members can convert Heathrow Rewards points into Skywards Miles and vice versa. Convert Heathrow Rewards points in multiples of 250 Skywards Miles. The minimum conversion is 250 points with no maximum limit. Convert Skywards Miles in multiples of 2,000 Heathrow Rewards points. The minimum conversion is 6,000 Miles with a maximum of 54,000 Skywards Miles or 18,000 Heathrow Rewards points in a single transaction. Heathrow Rewards points can be redeemed in multiples of 500 only. For example, if your purchase is 1,600 Heathrow Rewards points, you can use 1,500 points for Instant Rewards and make up the difference with cash or a credit card. Once points are converted into Miles or vice versa, they are instantly available to spend. Once converted, Skywards Miles and Heathrow Rewards points are non-refundable. Emirates Skywards members must be a Heathrow Rewards member and have the same name on both accounts. Members must be eighteen (18) years of age. Heathrow Rewards membership card fulfilment will take place within three (3) weeks from registration. Instant Rewards through the Heathrow Rewards programme can only be facilitated when the physical Heathrow Rewards card is presented. For alternative spending options, visit heathrow.com/emirates(Opens an external website in a new tab). Points transferred-in to Heathrow Rewards cannot be redeemed for other mileage currencies offered by the Heathrow Rewards programme. To enjoy Instant Rewards at participating stores, members need to present their Heathrow Rewards card at the till. Heathrow Rewards members will also earn points on purchases made using Heathrow Rewards points. Heathrow Rewards points converted from Skywards Miles cannot be converted with other Heathrow Rewards travel partners. Certain products and outlets are excluded; see Heathrow Rewards programme terms and conditions(Opens an external website in a new tab) for full details. The Bonus Heathrow Rewards Points offer is a one-time offer available to new members to the Heathrow Rewards programme who join using the dedicated link or promo code EK2019. 1,500 points will be awarded when £150 or more of qualifying expenditure is made with the Heathrow Rewards card in a single day before 31 December 2019 and the Heathrow Rewards card is presented. This offer is not applicable to currency exchange purchases and cannot be used in conjunction with any other joining offer. Heathrow Rewards Terms and Conditions apply.